Our craft workroom: a place of creativity, joy and tranquillity. 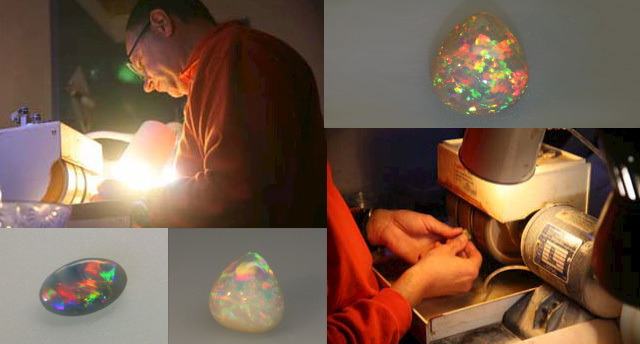 Our main work consists on cutting rough opals in all the various possible forms: perfect cabochon, drops, cushions or free shapes. Simply creations of sterling silver and bracelets, necklaces, pendants or earrings that allow us to offer a wide choice of crafts having the same leitmotif: the opal.